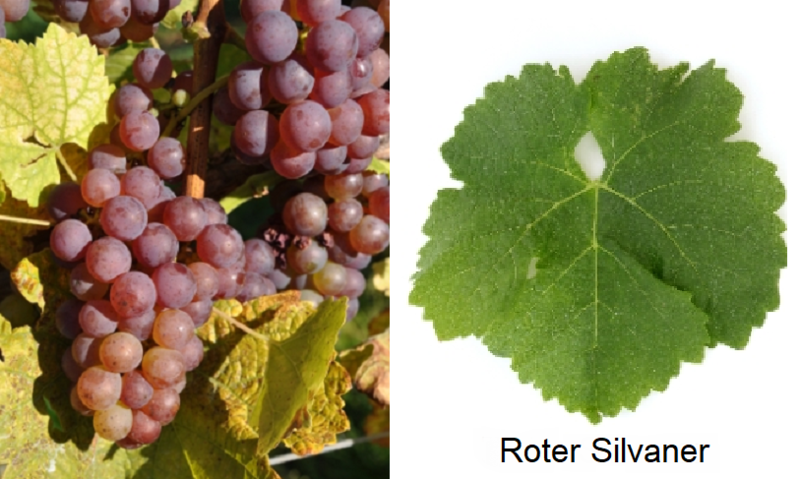 The white grape variety comes from Austria. Well over a hundred Synonyms testify to the high age and wide distribution of this vine. The most important alphabetically grouped by country are Augustiner white, Bötzinger, fly grape, Franconia, Frankenriesling, Frankentraube, Grünedel, Grüner Silvaner, Austrian, Austrian, Roter Silvaner, Schönfeilner ( Germany ); Feuille Ronde, Gamay Blanc, Gros Riesling, Picardon Blanc, Silvain Vert ( France ); Sylvaner Verde ( Italy ); Sonoma Riesling ( California ); Silvanac Zeleni, Silvanai Zeleni ( Croatia ); Salfin; Salfin Belyi, Salfine Bely ( Moldova ); Grüner Zierfandler, Pepitraube, Pepltraube, Sylvaner, Zierfandler Austria ); Gros Plant du Rhin, Gros Rhin, Johannisberg ( Switzerland ); Sylvánské Zelené ( Slovakia ); Zeleni Silvanec ( Slovenia ); Cynifadl Zeleny, Cynifal, Cynifal Zeleny, Sylvánské Zelené ( Czech Republic ); Bálint, Zöld Szilváni ( Hungary ). 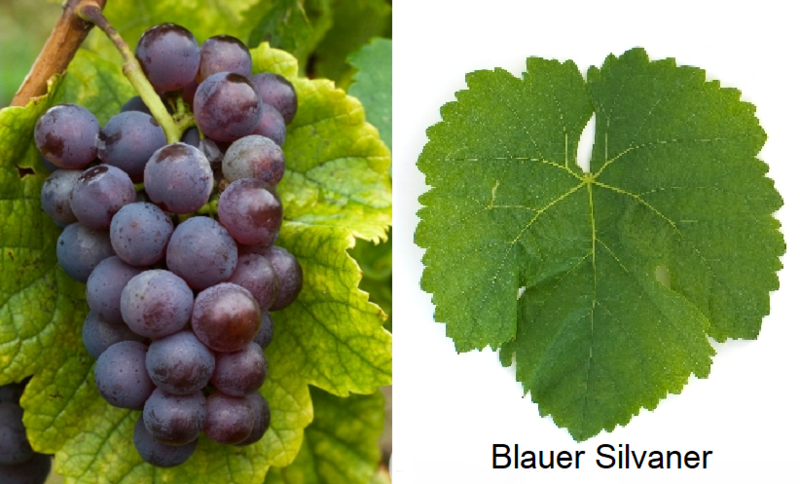 Despite seemingly indicative synonyms or morphological She may not share similarities with the varieties Elbling (White Silvaner), Austro-White or Sauvignon Blanc (Muskat-Silvaner) are confused. The name was often associated with the Latin "Silva" ("Grove") or "saevum" (wild) and an origin Wild vines derived. According to already in 1998 by Dr. med. Ferdinand Regner carried DNA analysis but it is probably a natural cross between the leader Traminer (Savagnin Blanc) x Austro-White, In Germany, the variety was first in 1665 as "Östareiche vine" by Alberich Degen (1625-1686), the abbot of Cistercian abbey mentioned in Ebrach in the Franconian Steigerwald. A shrine in the position Würzburger stone says that this year the abbot has planted the Silvaner vine. The medium-maturing, high-yielding vine is sensitive to frost, as well as prone to chlorosis, both mildews and Botrytis, The green-yellow berries have a much more intense aroma than the wine made from it. Because it produces more neutral-tasting white wines with subtle pomaceous notes (usually pear), but above all vegetable Flavors that become more apparent in old age and the fruity Frequently displacing sounds completely. Until the early 1990s, she was in Germany even before that Riesling the most common variety. In 2009, however, it occupied only 5,187 acres, mainly in Franconia (classic variety for the im bocksbeutel bottled wine), Rheinhessen and palatinate, In Austria With 43 hectares, it has little significance. Presumably, the Silvaner was already around 1546 as "Green Fränckisch" in the Alsace available. Because this year he will be from the botanist Hieronymus buck (1498-1554) mentioned in his "Kreutzer book". Here 1,446 hectares are planted with it. The importance of the variety was underlined in 2005 when it was the only exception to the others for Alsace Grand Cru approved varieties exclusively for the location Zotzenberg was admitted. Further stocks in Europe exist in the countries Italy mainly in South Tyrol (113 ha), Croatia (139 ha), Moldova (98 ha), in the Switzerland mainly in the canton Wallis (241 ha) under the confusing synonym Johannisberg (because also used for Riesling), Slovakia (117 ha), Czech Republic (122 ha) and Ukraine (70 ha). Overseas, the variety is in small stocks in California. Canada and New Zealand (4 ha). In 2010, it occupied a total of 7,389 hectares of vineyards with a strong declining trend (ten years earlier, there were 11,044 hectares). 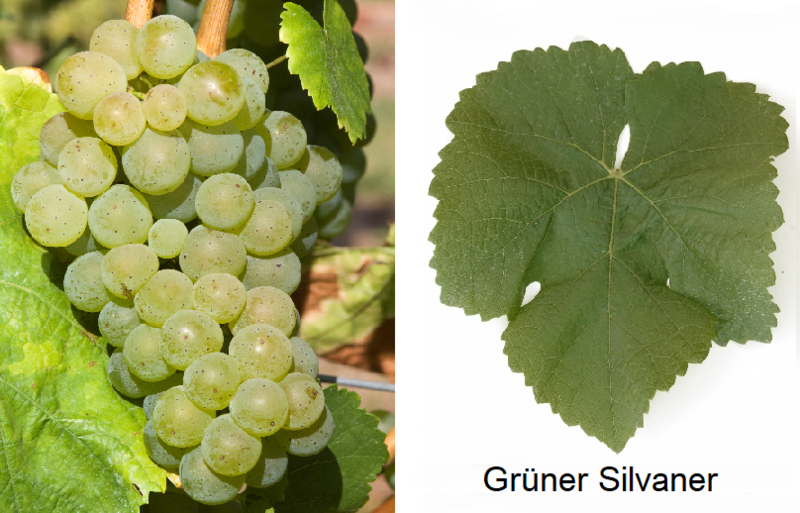 The Silvaner thus occupies the world varieties ranking the rank 91. This page was last modified at 16 April 2019 at 09:11.